Montgomery County officials are scheduled to get an update about answers to questions of interest to people who live along the Purple Line right-of-way. A panel of Montgomery County council members is scheduled to meet Thursday. Its members will hear from Purple Line Transit Partners and the Metro Transit Authority. They are the consortium responsible for designing, building, operating and maintaining the Purple Line. 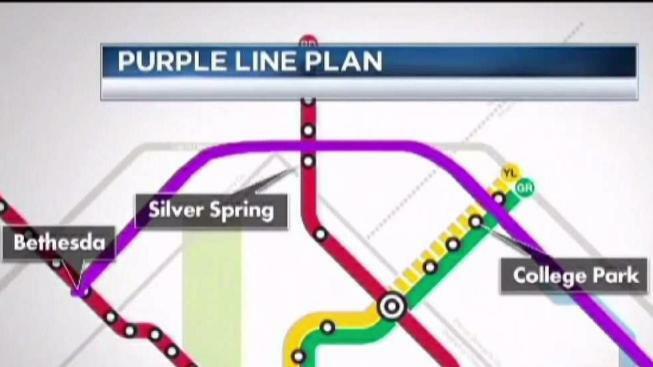 The Purple Line is a 16-mile light rail line that will extend from Bethesda to New Carrollton. It will provide a direct connection to the Metrorail Red, Green and Orange Lines at Bethesda, Silver Spring, College Park and New Carrollton. There are 21 Purple Line stations planned. It will connect to MARC, Amtrak and local bus service.